Terahertz waves could be applied more broadly following the development of a technique to control the intensity and the polarization of terahertz light with graphene. Terahertz waves allow for the detection of materials that are undetectable at other frequencies, but the use of these waves is limited by the absence of suitable devices and materials that control them. Now, researchers at the University of Geneva (UNIGE), working with the Federal Polytechnic School in Zurich (ETHZ) and two Spanish research teams, have overcome this limitation with a technique that paves the way for a practical use of terahertz waves, in particular for imaging and telecommunications. The work is described in Nature Communications. “The interaction between terahertz radiation and the electrons in graphene is very strong and we have therefore come to the hypothesis that it should be possible to use graphene to manage terahertz waves,” said Alexey Kuzmenko from the Department of Quantum Matter Physics of UNIGE’s Faculty of Sciences. 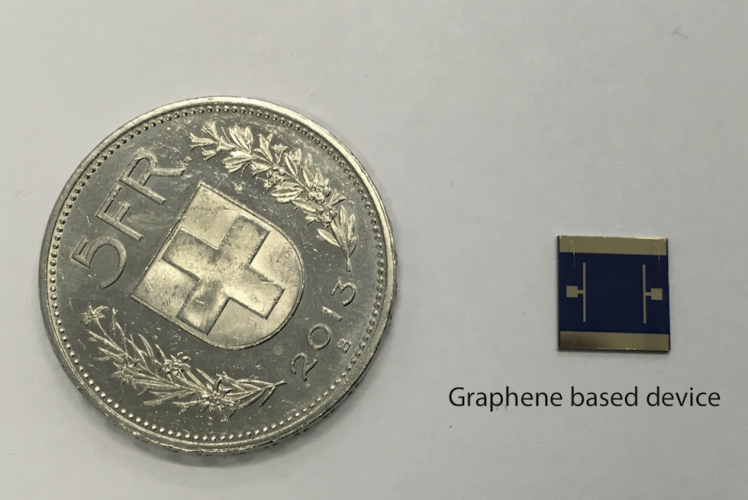 Working within the framework of the European project Graphene Flagship, the scientists have made a graphene-based transistor adapted to terahertz waves. The UNIGE researchers plan to move on from the prototype and develop systems that make terahertz waves industrially competitive in the next few years. Two main areas of application have been identified, the first of which is in communications. “Using a film of graphene associated with terahertz waves, we should be potentially able to send fully-secured information at speeds of about 10 to 100 times faster than with Wi-Fi or radio waves, and do it securely over short distances,” said Poumirol. The team has identified imaging as the second main area where their technique could be applied. Being non-ionising, terahertz waves do not alter DNA and therefore are very useful in medicine, biology and pharmacy. Additionally, the control of the circular polarisation of the terahertz waves will allow distinction between different symmetries of biological molecules, which is an important property in medical applications. Furthermore, the team believes there are potential applications in homeland security. 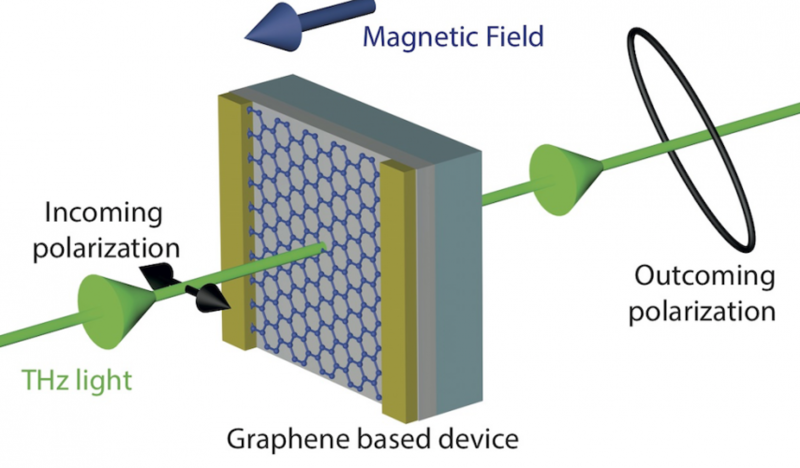 The team’s paper – Electrically controlled terahertz magneto-optical phenomena in continuous and patterned graphene – can be found in Nature Communications.